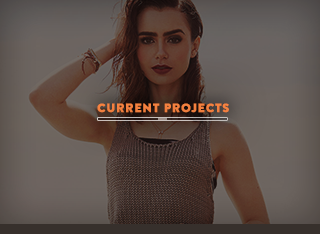 If you haven’t noticed just how fabulous Lily Collins is, in the next few months you definitely will. The Mortal Instruments: City of Bones actress has been named Brand Ambassadress for Lancôme. Which means in addition to popping up in glossy magazine ads—her first will be for Lancôme’s French Ballerine makeup collection to released in January—the star now has even more reason to experiment with her red carpet hair and makeup. Over the last year alone she has shown a true talent in being a beauty chameleon. Although she naturally she has Snow White’s looks (she even played the famous heroine in 2012’s Mirror Mirror) she isn’t afraid to go full on gothic glamour—which she did most recently at Paris Fashion Week. Of course, her signature feature has to be her full eyebrows, which probably come only second to Cara Delevingne for world’s boldest arches. In August, Lily even joked on Chelsea Lately that her bushy eyebrows even have their own Twitter account. Well, Lily, congrats—now they have their own beauty collaboration too!